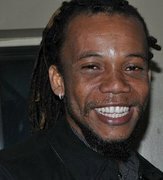 REGINALD CANGE/FASIL. ARLY LARIVIERE CONCERT PICTURES + RALPH CONDE. TVICE. HANGOUT SCOOPS + MORE! *REGINALD CANGE/FASIL BOUILLON NIGHT PICTURES FROM NEW YORK! *ARLY "EN SOLO" MIAMI PICTURES! *RALPH CONDE IN THE STUDIO VIDEO PREVIEW OF JAZZ CD! *TVICE PERFORMING EPIM PA BON IN VENEZUELA! *TVICE LA REUNION CONCERT POSTER! *HANGOUT RELOADED NEW SINGERS PICS!